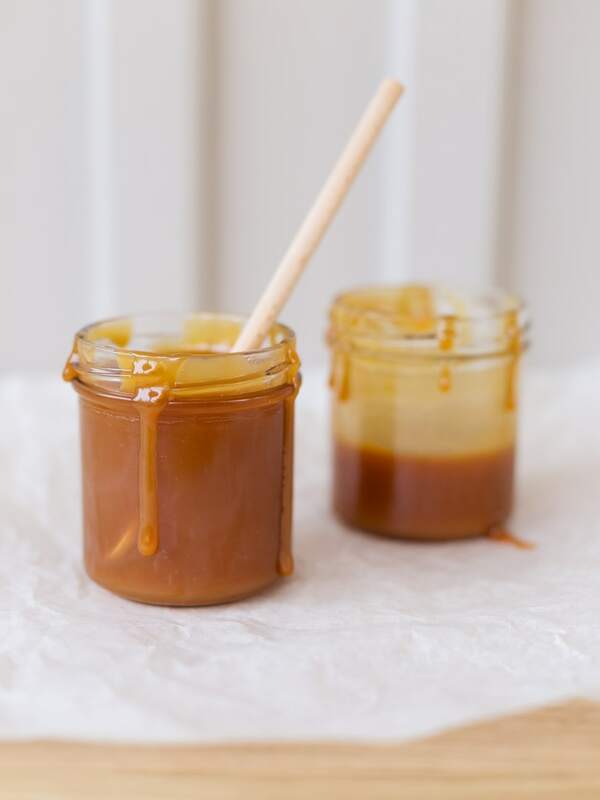 Salted caramel is a simple recipe that requires few basic ingredients. There are countless of websites online about salted caramel and the differences between all these recipes are subtle. Some will advise to use salted butter, others will just recommend the use of salt. Some might add water when melting the sugar, but in the end it’s not that very necessary. 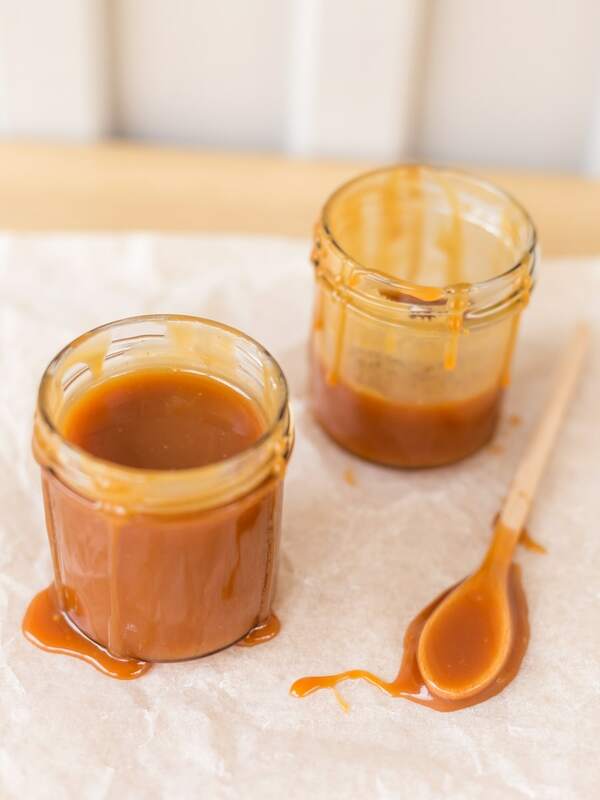 That’s because salted caramel sauce is so simple to make that everybody just seems to follow adaptations of the same recipe. And isn’t that the beauty of cooking, after all? 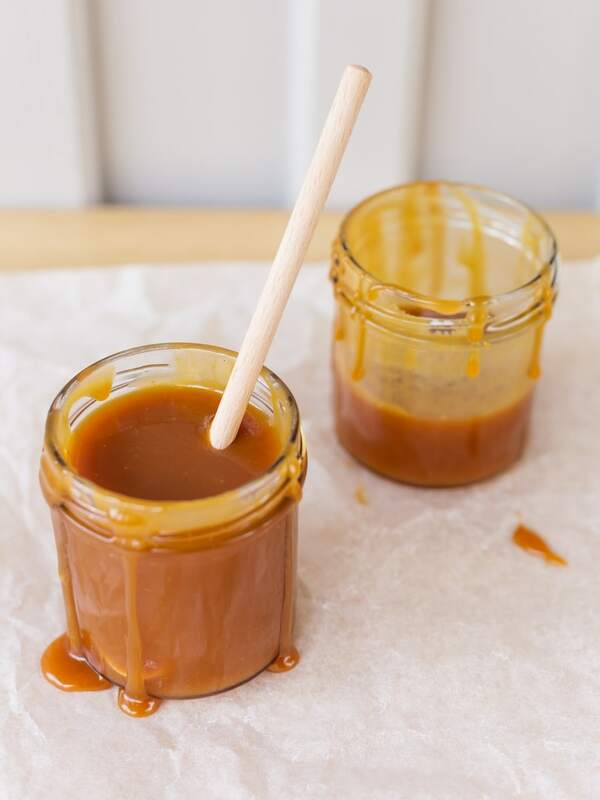 I don’t know why it took me so long to muster the courage to make salted caramel sauce myself. I have memories of disastrous experiments with boiling hot sugar that did not end well, therefore I tend to be a little scared whenever I have to bring crystal sugar to a liquid state on my stovetop. 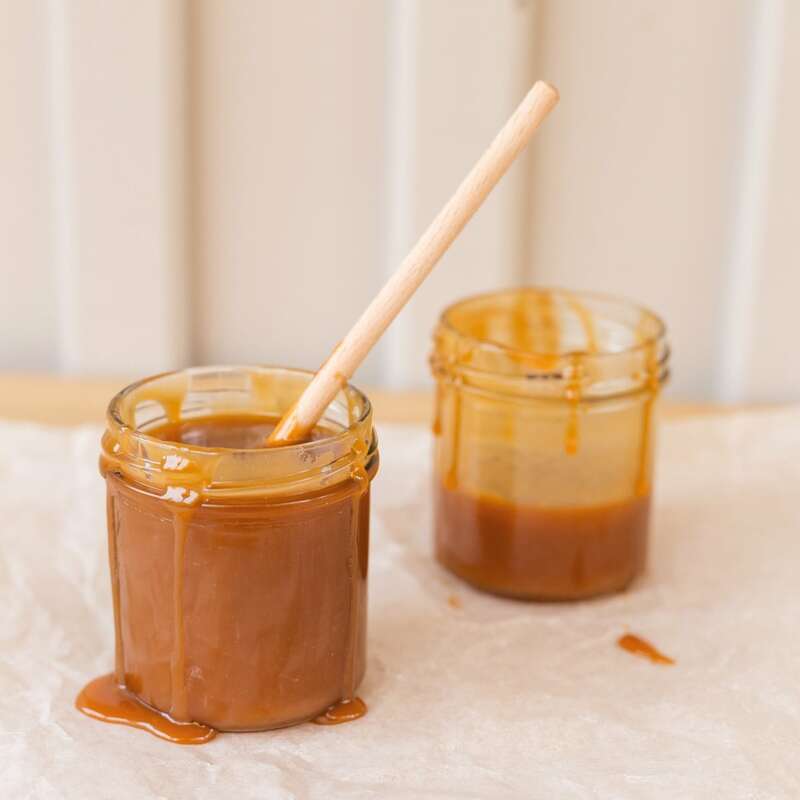 But I had to overcome my fears and I really wanted to include salted caramel in my portfolio. So here we go. I have never been a candy person. I’m a chocolate person. I will never say no to a chocolate praline but I have no problem passing up a candy offer. Even as a kid I would take much greater satisfaction from a piece of chocolate melting in my mouth than from a candy. Chewy candies would bother me because they’d get stuck in the teeth. Hard candies took forever and I just did not see the enjoyment. No candy for me. Except that one type that made my head spin. That one candy that actually does melt in the mouth and has this fantastic butter flavour: Alpenliebe. Just the thought of it makes me salivate. It’s been ages since I had one. And I have finally found something that reminds me exactly of that taste. 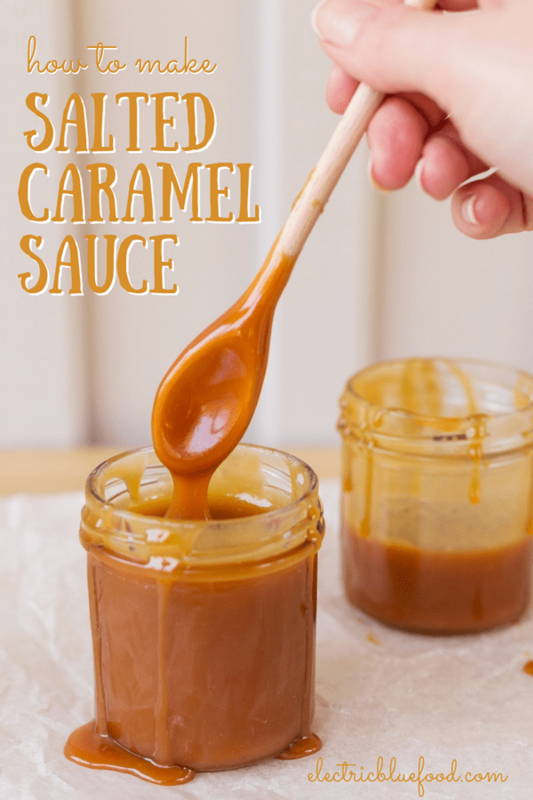 I made salted caramel sauce, and purposefully made a mess to show its beautiful viscosity in pictures. Its slow drip is so poetic. Cleaning up was real fun. I got loads of tools and containers dirty, and took great pleasure in cleaning everything up. With a spatula. Right in my mouth. And oh does this stuff taste like good ol’ Alpenliebe! So, as I was saying, a few basic ingredients. Actually, only 4, but I used 5. 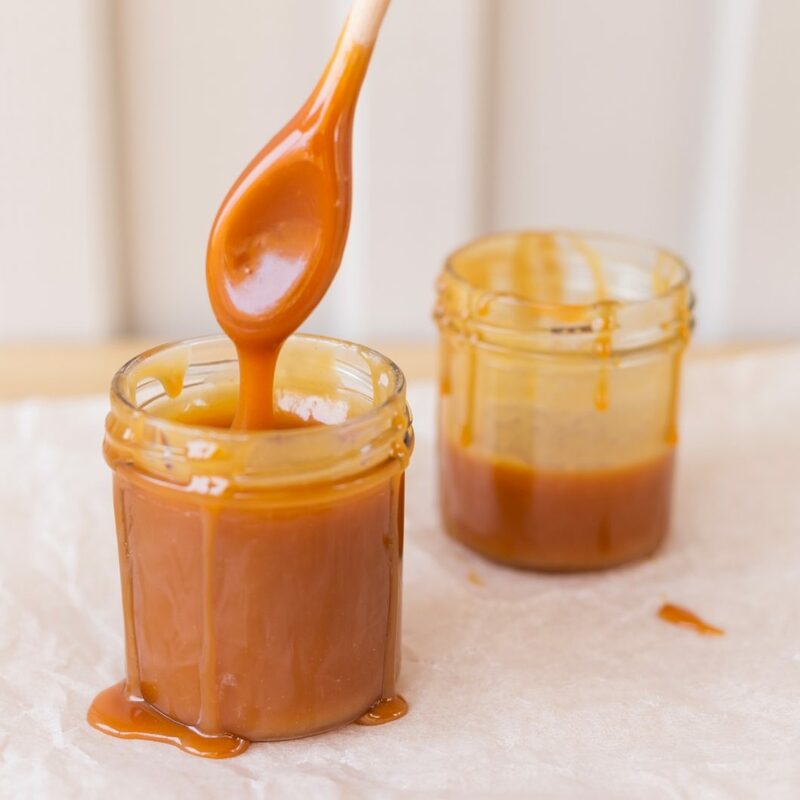 To make salted caramel you need sugar, butter, heavy cream and salt. That’s it. Reputable bloggers will tell you that, and pastry chefs will tell you that. Four ingredients – easy peasy. No magic tricks. 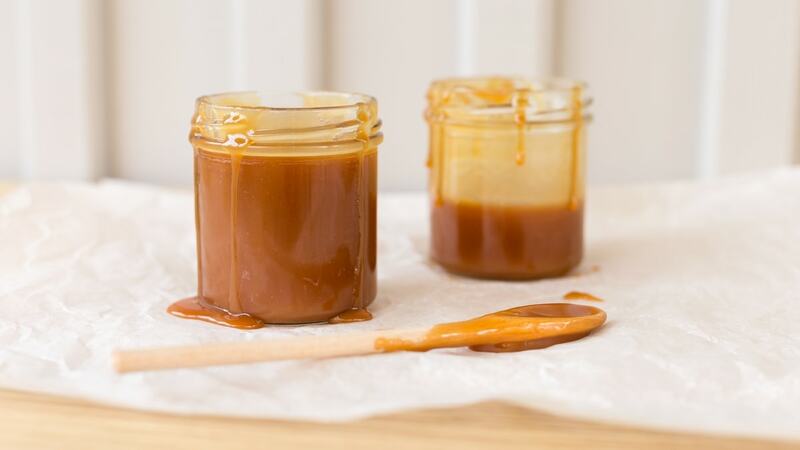 Making salted caramel will keep you busy for 10 minutes. It’s seriously that easy. What was I so afraid of, then? Well, melting sugar can be dangerous. But I’m a big girl and I do that when I make macarons, so I figured I could handle that. I had read that it really bubbles a lot and it can splatter all around while you add the cream. You are supposed to stir continuously as you pour it, so I was afraid of hot caramel splatters on my hand. That’s not just boiling water, that stuff sticks to your skin and burns. So so afraid. 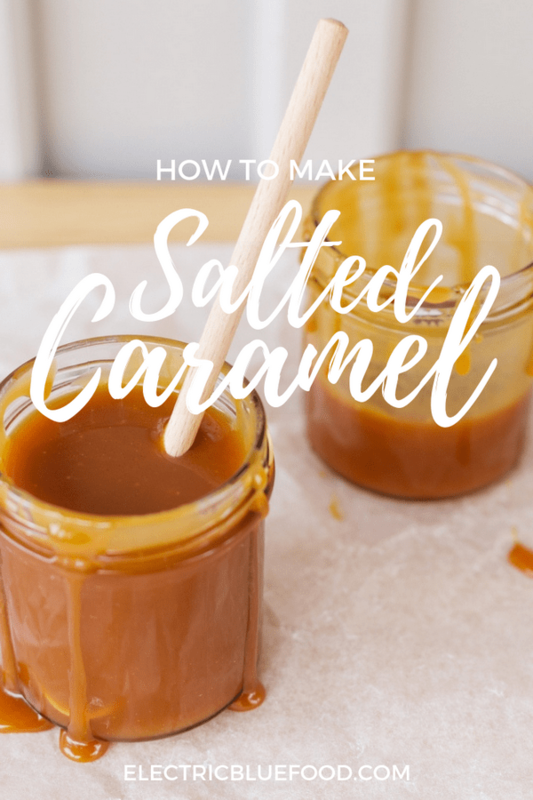 It turns out making salted caramel was not the terrifying experience that some recipes make it sound like. Probably the only difficulty is to be careful not to burn the sugar. That’s the first step of the recipe: you melt the sugar until it becomes an amber-coloured liquid. Then you add the butter, and once the butter has melted you add the cream. When you add the butter the mixture starts bubbling, and it gets even more frothy when the cream is added. As long as you have a pot that is big enough you’re fine. Maybe use a pan and not a skillet, so you’re sure nothing will spill. Then you just stir in the salt and you’re pretty much done. In my recipe I used salted butter. 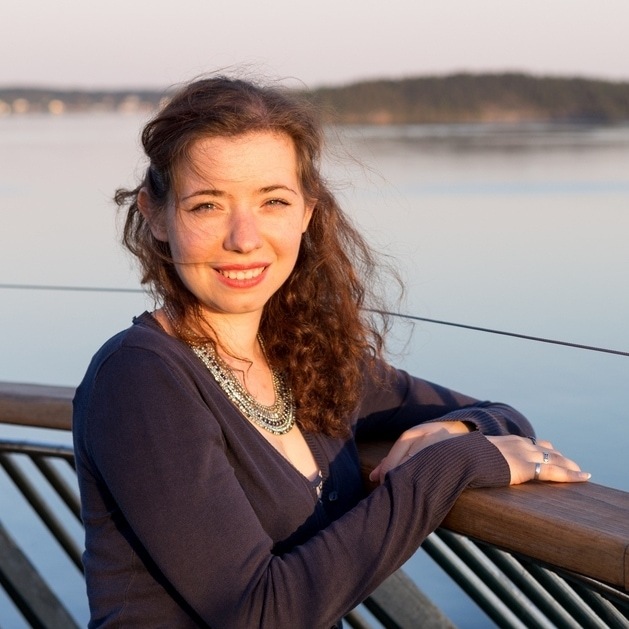 Sally’s Baking Addiction (one of my go-to references) recommends using salted butter. Of course salted butter alone won’t do the trick and you also have to add salt. Since I moved to Sweden I’ve been happily using salted butter in all my cakes and I’m actually pretty happy with it. Sally goes for the simple 4-ingredient version, I added a fifth one: vanilla extract. Just a little bit, stirred into the cream. Just like with salted butter, it’s that little hint of a flavour. But it’s those small additions that give the end product so much more depth. 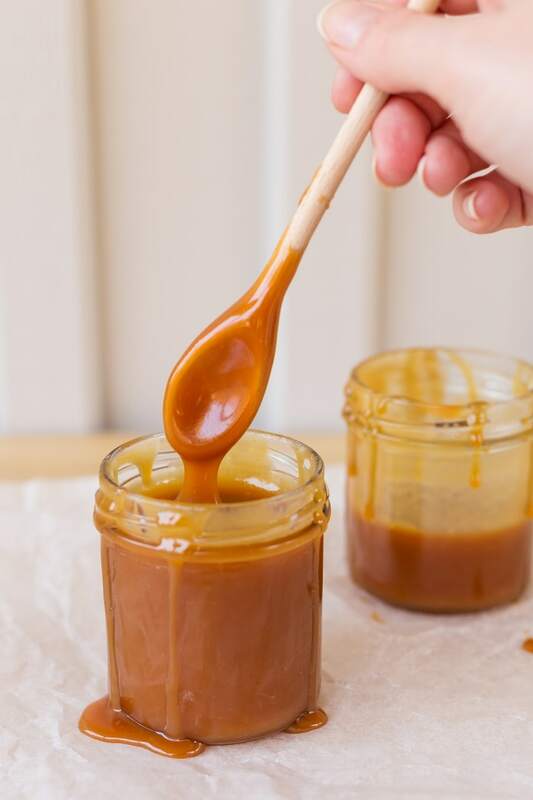 Melt the sugar over medium-high heat until it becomes an amber-coloured liquid (it resembles liquid honey). I recommend using a medium pot, as the mixture will bubble and double in volume as it cooks. When the sugar has melted, add the butter. 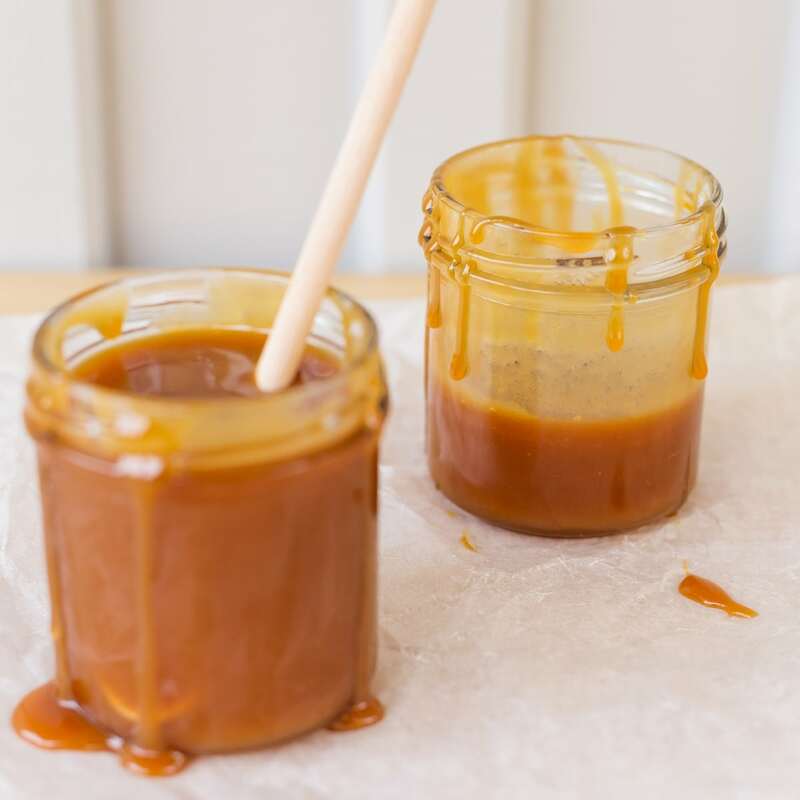 It needs to be at room temperature and cut into chunks, as this will help it melt in the sugar more quickly. Stir constantly with a whisk. 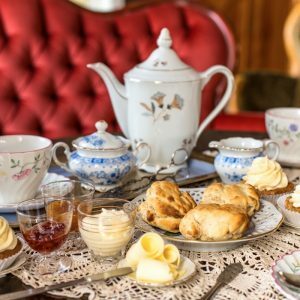 Combine the vanilla extract and the cream, and pour the cream into the sugar mixture as soon as the butter has been incorporated. Having the cream at room temperature will decrease the risk for splattering caused by the difference in temperature. After the cream, add the salt and continue boiling for one more minute. Set aside from the heat and give it a final stir. 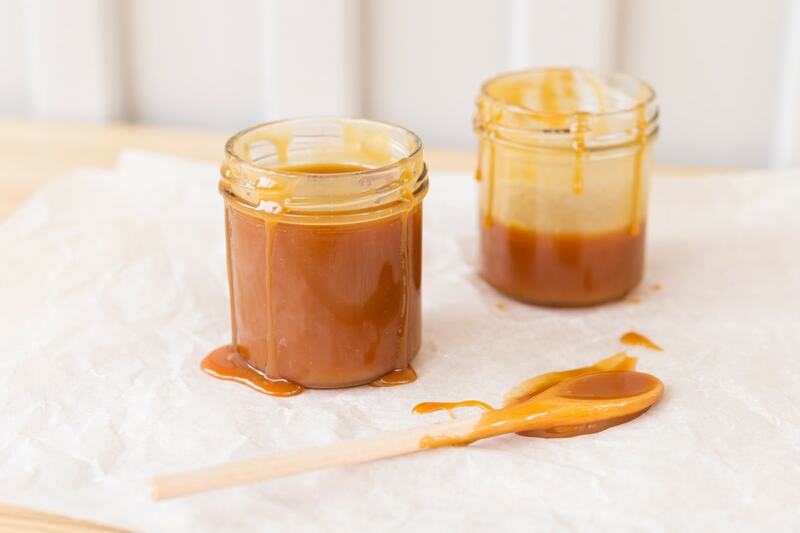 Transfer to a jar and let cool to room temperature before using. Yummmm! Definitely going to be giving this a try. What would you recommend to have it with? I made a caramel latte that was delicious. Drizzle it nicely inside the mug, then add coffee and foamed milk, and drizzle some more over the milk foam. Delicious!! Totally recommended.